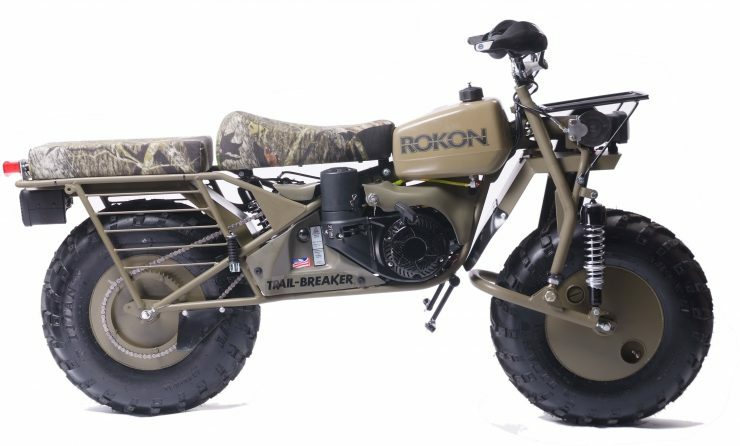 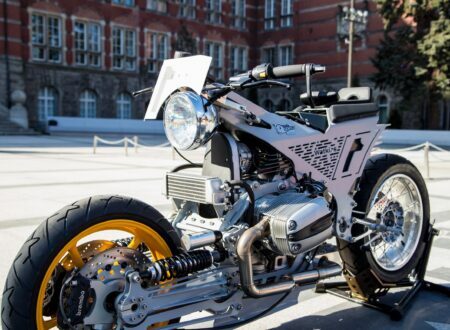 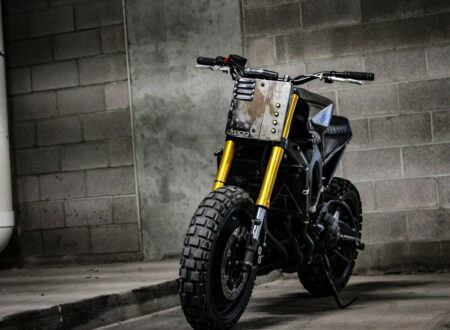 The Rokon Trail-Breaker is an American-made 2-wheel drive motorcycle that’s been used by everyone from the US military, to the forestry service, to treasure hunters. 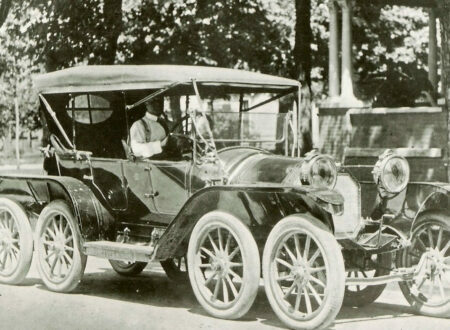 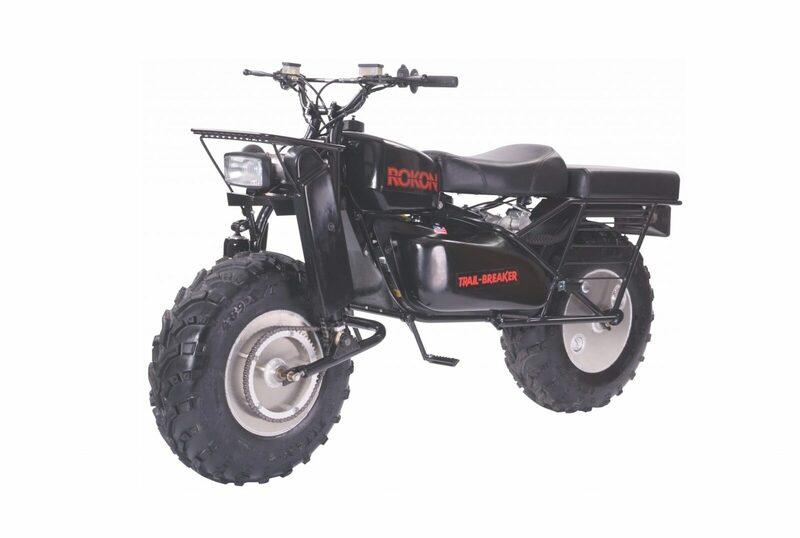 It’s designed exclusively for off-road use, however it can be driven on the road at speeds up to 35 mph if needed. 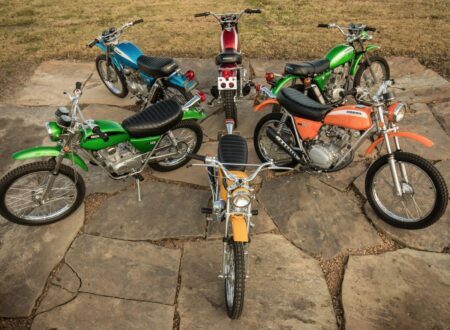 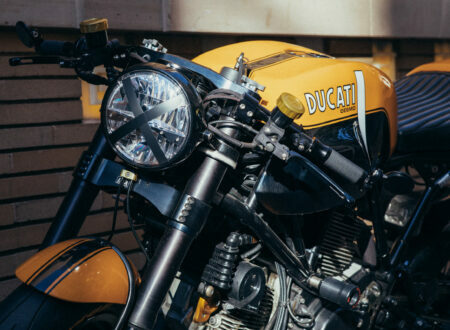 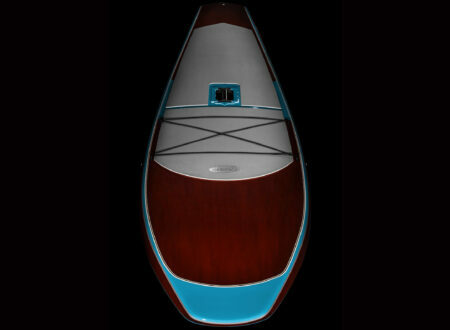 The original design was completed by American inventor Charles Fehn in 1958, he then sold his design to Nethercutt Industries, and they released the first commercially available version in 1960. 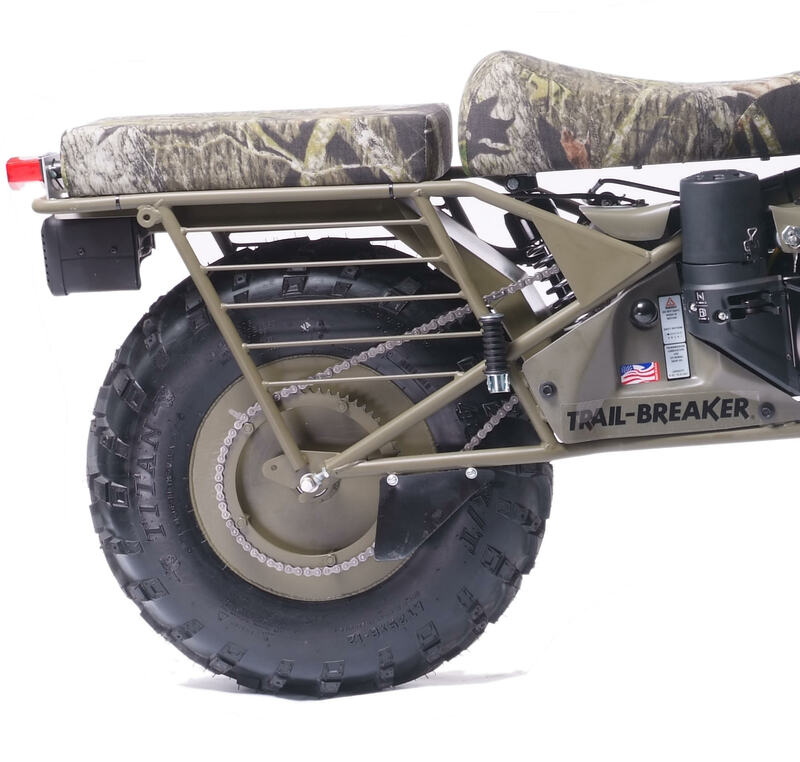 The Trail-Breaker has been through a series of upgrades in the intervening decades making them more reliable, quieter, and more powerful. 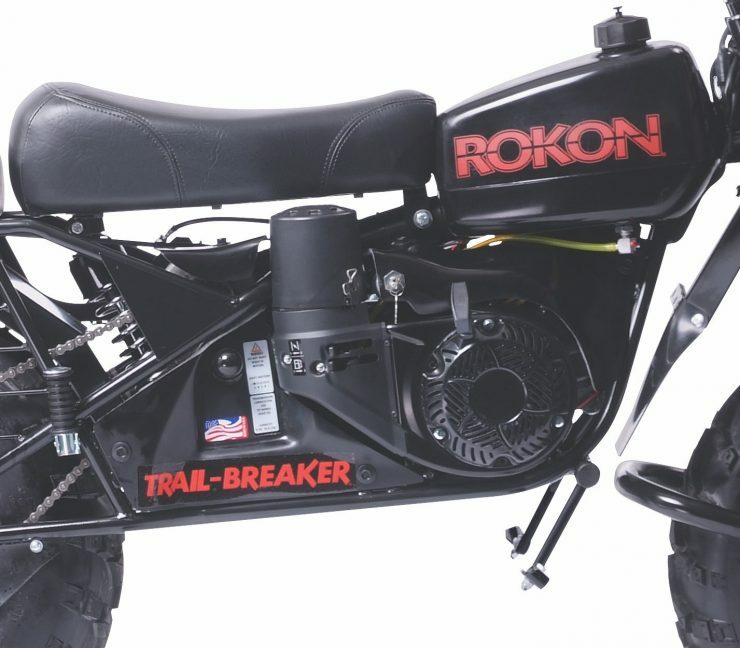 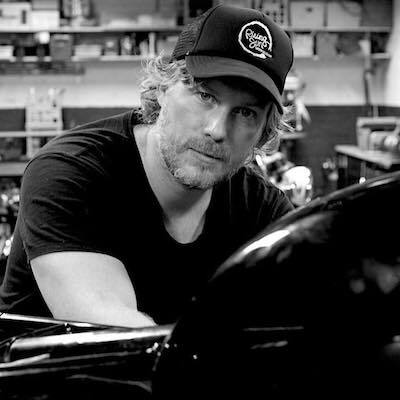 The modern Rokon Trail-Breaker uses a Kohler, single-cylinder, four stroke, fan-cooled engine mated to a 3-speed transmission. 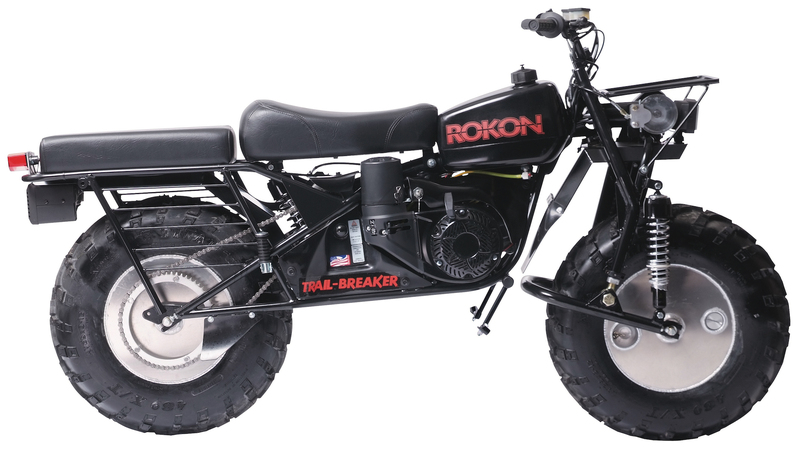 Power is fed to both the front and rear wheel, and the gearing is such that the Rokon can climb grades of up to 60 degrees with ease. 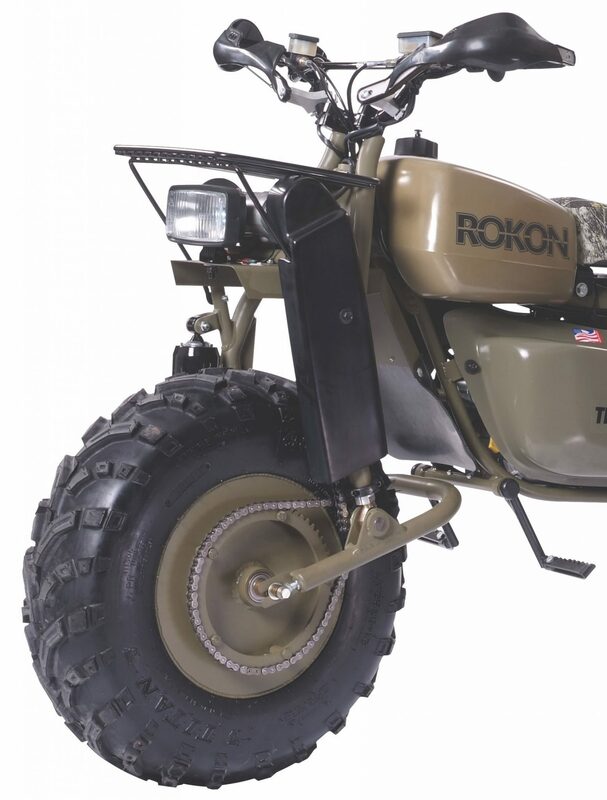 The large tractor-tires used front and back sit on hollow wheels that can be used for storing additional drinking water or gasoline, and their size means they can be used as floats during river crossings – with the rider walking alongside. 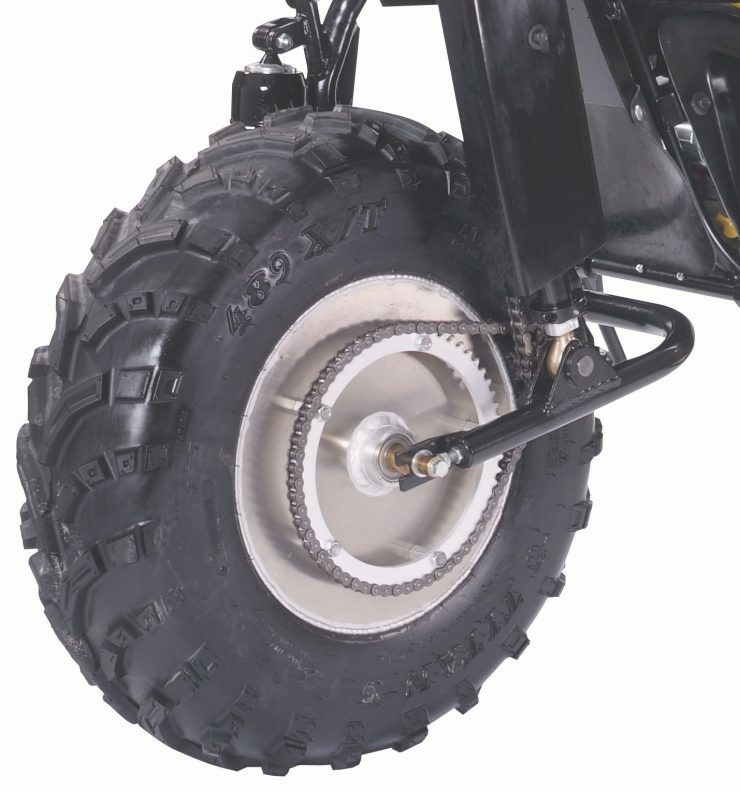 There’s also a power take-off for operating machinery, with up to 7hp available depending on the throttle setting. 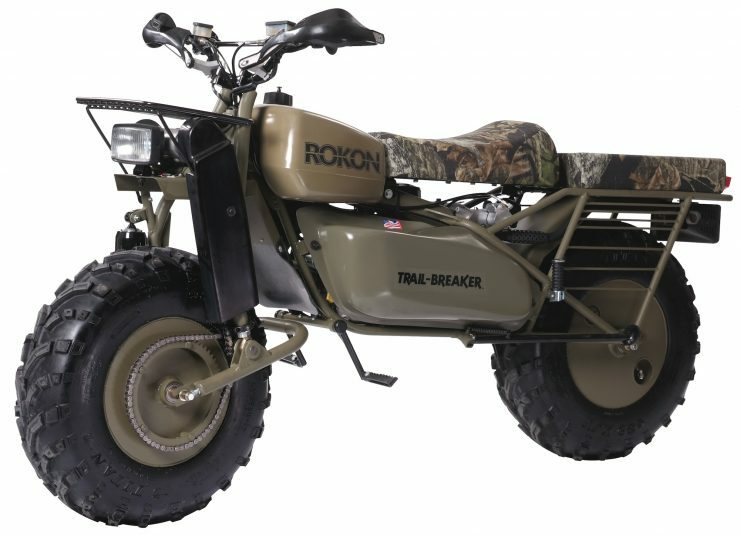 Most of those who buy and use Trail-Breakers are avid outdoors people, so Rokon equip the model with ample carrying space for tents, supplies, firearms, food, and equipment. The fuel tank holds 2.69 gallons (10 litres), which may not sound like much, but the 208cc engine only uses an average of 0.33 gal/hr – giving you ample range even without additional fuel stored in one or both of the wheels. The MSRP of the Trail-Breaker is $7,350 USD, which seems remarkably reasonable for a vehicle that most owners keep in their possession for decades and use regularly. If you’d like to read more about the Trail-Breaker or buy your own, you can click here to visit the official Rokon website.